London's thriving property market is helping sales of high-end cars such as Jaguars. 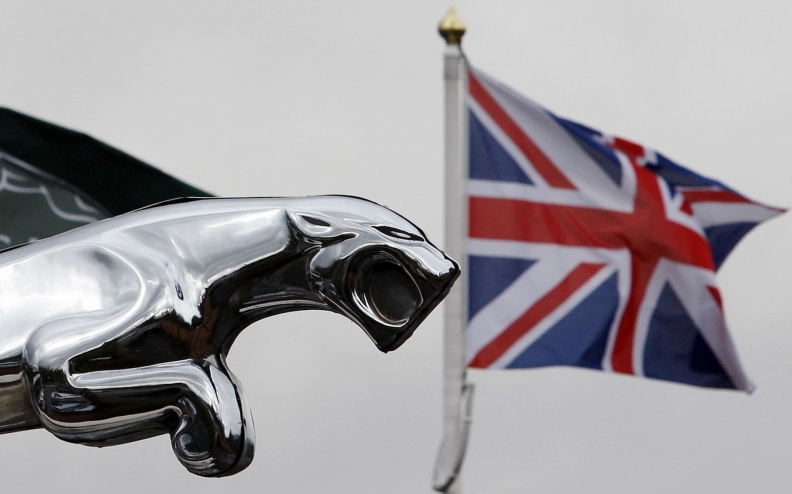 LONDON -- Jaguar Land Rover said it will cut 1,000 jobs and reduce production at two of its UK factories as demand for diesel cars slumps because of higher taxes and a regulatory crackdown. The automaker will lay off agency workers at its factory in Solihull, central England, and move just over 360 people to Solihull from its nearby Castle Bromwich plant. "We are not renewing the contracts of 1,000 agency workers at Solihull," a JLR spokesman told Reuters on Monday, confirming reports from last week about the potential jobs losses. About 90 percent of JLR sales in Britain are diesel models, which compares with around 45 percent globally. Sales of Land Rover models in the UK fell 20 percent to 23,815 through March, while Jaguar sales were down 26 percent to 9,709, according to industry association SMMT. Solihull builds the Range Rover, Range Rover Sport and Range Rover Velar models alongside the Land Rover Discovery and the Jaguar F-Pace, according to Automotive News Europe's car assembly plant map. In Castle Bromwich, the company produces the Jaguar F-Type, XE, XF and XJ models. JLR said in January that its Halewood plant near Liverpool, which produces the Range Rover Evoque and the Discovery Sport, would temporarily reduce production later this year in response to weakening demand due to Brexit and tax hikes on diesel cars.